Tell Paris: We Demand a Low Carbon Future! Scientists and World Leaders are meeting in Paris for a Climate Summit: they could take important steps on the journey to the future we all want. The Lambeth Declaration is a call to the UK government to “use their influence to achieve a legally-binding commitment” at the summit. The declaration has been written and signed by over 30 faith leaders, including all the major UK faiths. It can also be endorsed by anyone in sympathy with its call to “courage, justice and hope”. Whether you follow a faith tradition or not, please sign to support this declaration, and demand a low-carbon future. Pop into Peace Hub to find out more and add your signature. These endorsements will be used to show politicians the strength of support for a low carbon future, and to push for genuine action at the Paris summit, and beyond. As leaders of the faith communities we recognise the urgent need for action on climate change. From the perspective of our different faiths we see the earth as a beautiful gift. We are all called to care for the earth and have a responsibility to live creatively and sustainably in a world of finite resources. Climate change is already disproportionately affecting the poorest in the world. The demands of justice as well as of creation require the nations of the world urgently to limit the global rise in average temperatures to a maximum of 2oC, as agreed by the United Nations in Cancun. We have a responsibility to act now, for ourselves, our neighbours and for future generations. The scale of change needed to make the transition to a low carbon economy is considerable and the task urgent. We need to apply the best of our intellectual, economic and political resources. Spirituality is a powerful agent of change. Faith has a crucial role to play in resourcing both individual and collective change. Recognise the urgency of the tasks involved in making the transition to a low carbon economy. Develop the spiritual and theological resources that will strengthen us individually and together in our care of the earth, each other and future generations. Encourage and pray for those engaged in the intellectual, economic, political and spiritual effort needed to address this crisis. Redouble our efforts to reduce emissions that result from our own institutional and individual activities. 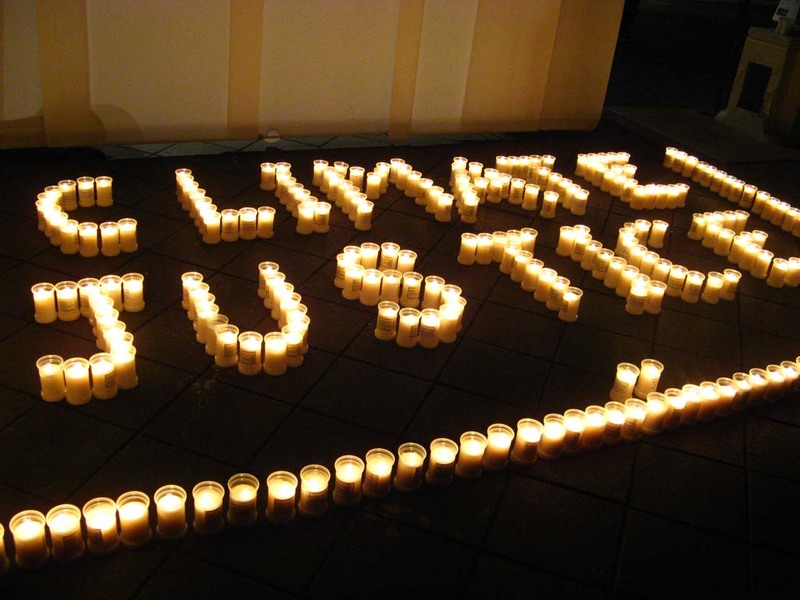 As representatives of the vast numbers of people of faith across the globe we urge our Government to use their influence to achieve a legally-binding commitment at the international Climate Change talks in Paris, and with the continuing programme beyond. Through our various traditions we bring our prayers for the success of the negotiations. We call with humility, with a determination enlivened by our faith and with awareness of the need for courage, justice and hope. We are faced with a huge challenge. But we are hopeful that the necessary changes can be made – for the sake of all who share this world today – and those who will share it tomorrow. Signed in June 2015 by the leaders from all the main faith groups in Britain. Our work relies on support from people like you, who are passionate about peace & justice. Please consider making a secure donation online.